Looking and feeling my best is important to me. I like to think that I live a fairly healthy lifestyle, but I know there is always room for improvement. At age 37, I’m becoming more aware of the aging process and noticing slight changes in my appearance. I mentioned before how I woke up one morning to discover a new wrinkle under my eye that seemed to happen overnight! That incident was a wakeup call to me. Time to start taking better care of my skin! Last week, I shared with you my goals over the next several months as I embark on a journey to beautiful skin. I’ve added Lise Watier Sublimessence High Concentration Age-Defying Serum to my daily skincare regime and will also be looking into other helpful ways to stay youthful. I was inspired to write today’s post from the saying, “You are what you eat”. Fill your body with healthy and wholesome foods and it will make a difference in the condition of your skin. 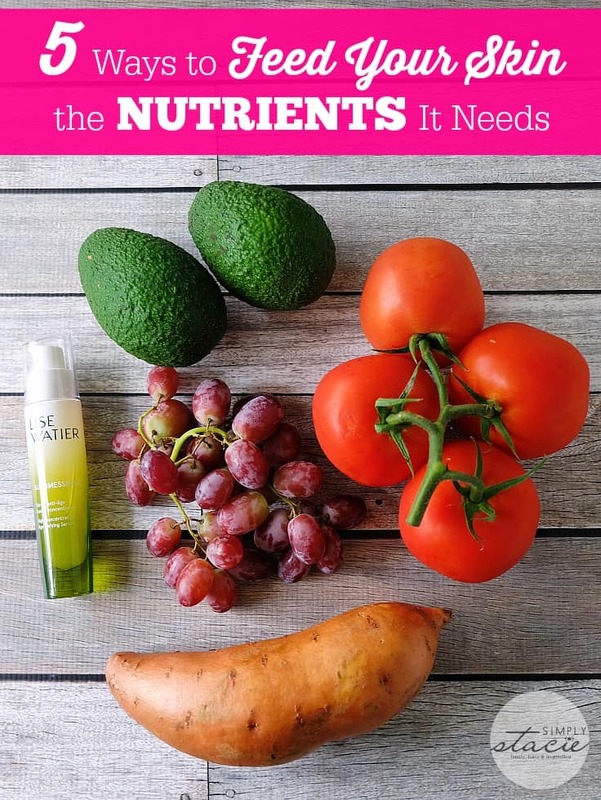 Your skin requires certain nutrients to help it reach its optimum potential. Thankfully, these nutrients are readily available so you won’t have to look too far to find them. My goal this week was to make an extra effort to make sure I was providing my skin with the proper nutrition. 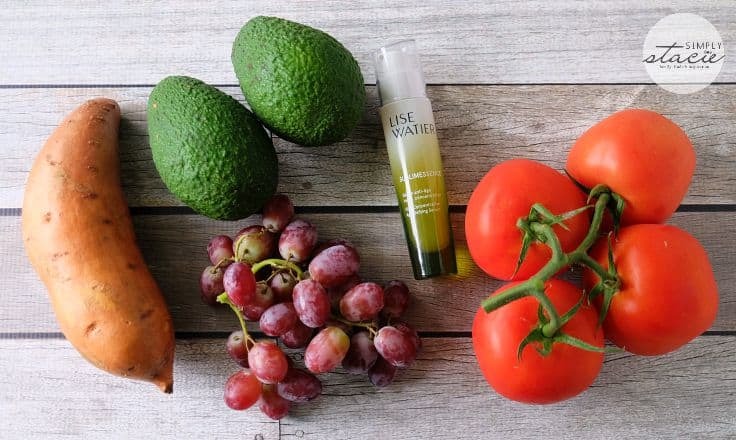 Here are five ways to feed your skin the nutrients it needs. 1. Snack on grapes. Not only will a handful of grapes curb your appetite, it will also help keep your skin looking fabulous. 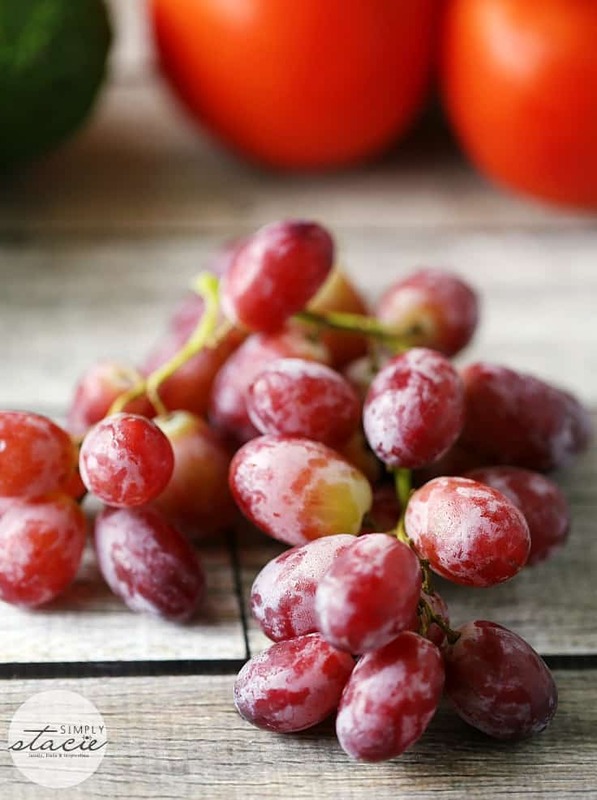 Resveratrol is found in the skin of grapes and is known to help inflammation. Studies have shown that this anti-inflammatory can help protect your skin from sun damage. I’ve been eating grapes as a late afternoon snack when my hunger pangs usually hit. An added bonus is that they are also waist-line friendly! 2. Mix in avocado. 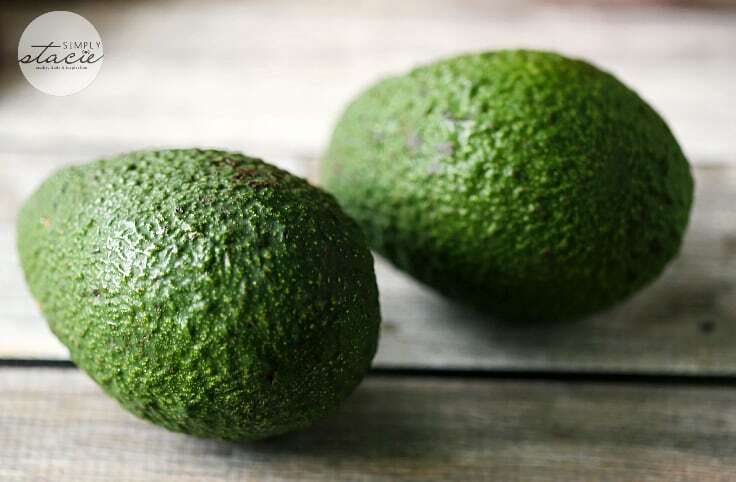 Avocadoes contain the “good” kind of fat that your body needs (monounsaturated fats) and this fat also helps to keep your skin supple and hydrated. They also have vitamin E, another skin-loving vitamin that aids in dry skin and works to protect against sun damage. I think of avocadoes as my moisturizer from within. Add some avocado chunks to your lunch salad or morning smoothie or mash it up with a little lemon juice. Yum! 3. Load up on sweet potatoes. I serve sweet potatoes as a side dish year round! They are so versatile, yummy and full of nutrients. 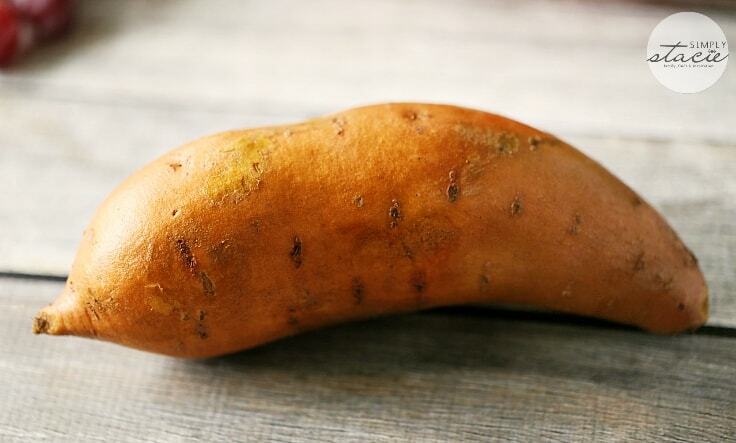 Sweet potatoes contain beta-carotene which turns into Vitamin A, a power antioxidant. Vitamin A protects your skin against UV damage, encourages new cell growth, normalizes oil production and helps to fight off bacteria that causes acne. Whip up a batch of mashed sweet potatoes or sweet potato fries and reap the benefits. 4. Slice some fresh tomatoes. I’ve been known to bite into a juicy garden tomato right from the garden. Tomatoes are an amazing fruit with so many benefits. 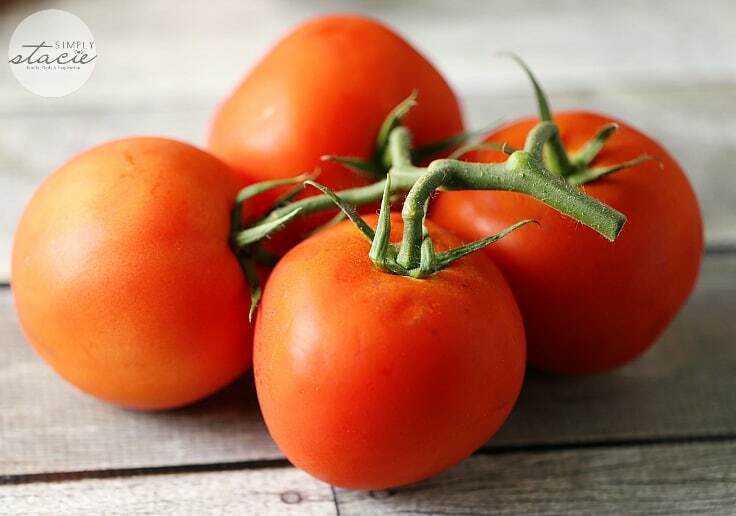 They contain the antioxidant, lycopene which helps to keep your skin smooth and soft and protected against the sun. They also have Vitamin C to help with building collagen and keeping your skin plump and firm looking. I add them to salads and eat them on sandwiches. 5. 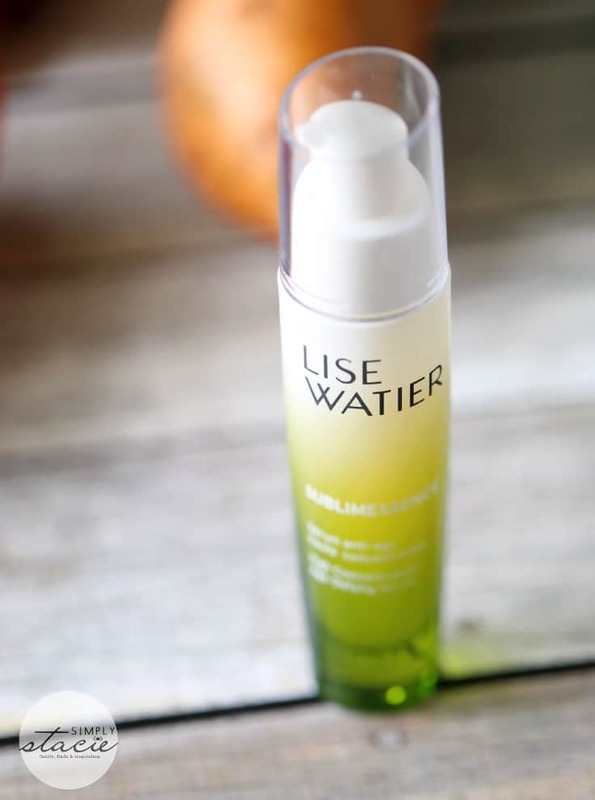 Nourish your skin with Lise Watier Sublimessence High Concentration Age-Defying Serum. Each application of this anti-aging product gives your skin a powerful dose of the product’s active ingredients. Sublimessence contains a highly potent Canadian antioxidant, the Exclusive Labrador Tea Extract. It works to reverse the visible signs of aging, rejuvenate your skin and restore its radiance. Labrador Tea Extract is a more potent antioxidant than Vitamin C, Grape Seed Extract, Vitamin E and Idebenone. I’ve been using Sublimessence for the past couple weeks and have noticed an improvement in how my skin looks and feels. The texture is softer and my skin tone is more even and less blotchy than normal. And that wrinkle under my eye that is driving me bonkers? It looks softer and less pronounced. It’s the little things that make a big impact. What is one thing you wish you could change about your skin? Sounds like I have an excuse to go stock up on grapes. I had no idea they were good for m skin. My skin breaks out when I eat even small amounts of sugar. I would love to even my skin tone and try to help by staying hydrated! Ouch its true we are getting older and can use beauty products. Thanks so much for sharing this! I knew the right foods were important for health, but I didn’t realize you could eat foods to target specific parts of your body. I liked your photo. It made the 5 things really stick in my mind. I haven’t tried Lise Watier yet but I have heard good things! I remember hearing that avocados were very good for the skin. I didn’t know about some of the others though. It’s nice to see what’s really good for you! I need to get a healthier glow on my skin I didn’t know most of these facts, NOW I need to get some of these fruits and try it out. I know I dont eat right, and I know I dont take care of my skin… guilt setting in!! First step to the grocery store! I didn’t realize that grapes were good for your skin! I eat a handful of grapes almost every day. Hydration is becoming even more important now that the air is drying out with the cold. These are awesome ideas. I have just recently learned about how good avocados are for you. I just had some tonight! Taking care of your skin is so important! I will have to get some more grapes for snacks! Now I am hungry for some grapes! I had no idea they could help your skin. I have sun spots on my face i would love to get rid of. I am going to go pick up these foods tomorrow. These are great ways to nourish your skin. I will have to pick up more grapes. I did not know it helps curb your appetite. I wish I could change the bags under my eyes. But, someday my kids will be grown and I will be better rested again! You have to take care of your skin! My husband has dry skin and it’s very uncomfortable for him! I love all these foods! Taking care of your skin is very important. I will check out the serum. I enjoy eating food that are so beneficial to me! Skincare is very important and I love trying new products too!